Joanna and her Amazing Technicolor Interwebs: What Are You Looking Forward To? Because we booked our June trip back in February, our countdown seemed to be going VERY slowly. Around 97 days out from our trip (maybe even before), I started greeting Kyle on Twitter every morning with “Good morning! Happy Day ___! I can’t wait to ____! You?” I remember one Sunday morning, around Day 87, I got a reply from him saying he was running out of “looking forward to’s” and I said something like “you do realize I’m going to ask you what you’re looking forward to every single day until we get there, right?” Hehe! He’s kindly played along this entire time, and now I usually wake up to his latest “looking forward to” tweet. It’s helped the countdown fly by. I’m not how I’ll start my day without those tweets when we get back. Aside from the random things we looked forward to (napkins, no stress, no work calls, etc), we often mentioned a favorite ride, a fireworks show, the feeling you get walking down Main Street, USA, or a meal we would share. Every single day there has been something to look forward to! Sometimes mine were based on what I dreamed about the night before, but usually it was whatever popped into my head that morning. 3. 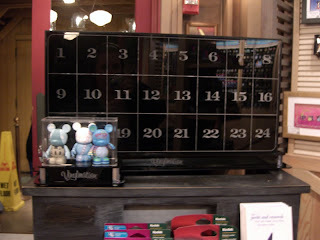 I LOVE trading Vinylmation and can’t wait to run into shops, trade real fast, and dart back out. I have trading down to a quick art, and I even have 4-5 Vinylmations all waiting to be traded! 4. Magic Kingdom: riding Astro Orbitor & Jungle Cruise at night, seeing the Haunted Mansion queue updates, Wishes, Peter Pan’s Flight, & the smile that never leaves my face as soon as I get there! 6. Disney’s Animal Kingdom: exploring more, the shows, the safari, the shade! 7. Disney’s Hollywood Studios: riding Tower of Terror & Rockin Roller Coaster, beating Kyle at Toy Story Midway Mania (hehe! ), and seeing all the Star Wars fun! 8. Downtown Disney: SHOPPING! Ghirardelli ice cream sundaes! 9. Port Orleans Riverside: having a new resort to explore & being close enough to walk to Port Orleans French Quarter for fresh beignets. 10. The food, all of it! I swear I could eat myself into a coma there. Of course I say that and then the heat makes me not so hungry! Hahaha! I can’t wait to try the new places we’ve picked to eat and to try a Dole Whip for the first time. When it comes down to it, these are only the tip of the iceberg of what I’m looking forward to on my trip. My “looking forward to’s” change often. 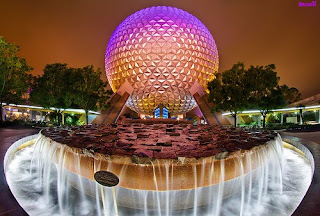 I mean, Walt Disney World trips in general have me smiling the whole time (even riding the bus “home” at night). Lastly, remember how on the last trip I swore I’d never ride Dinosaur again? I made a deal with Kyle that if he’d ride Tower of Terror with me, one of my absolute favorite rides and a big fear for him, that I’d get on Dinosaur again. I was shocked when he responded with “Deal.” Whoops. ;-) So I’m not sure if I’m looking forward to that or not, but I guess it’s not just the wee kids you have to worry about being scared of rides! This will be my last post until we get back from our trip (then you'll all be treated to a full on Trip Report! ), but the fun doesn’t stop here! Follow us @goddessofmath and @Drantis82 on Twitter to stay updated on our WDW adventure! I promise to post lots of pics! Since you are going at Star Wars weekend, you really need a Chewbacca style bandolier for your vinylmations. If you were on Twitter (you, not just your publicist), you would know I said that last week. :) Hehe. I think I could totally rock that look!